Recently SEO specialists have seen an overabundance of smartphone apps emerge all intent on helping them become more efficient. In order to help them go straight to those which will assist them the most, five apps have risen to the top as far as their functionality and ease of use are concerned: Website SEO Audit, SEO Pro, Analytics App, Ego, and SEM Calculator. Website SEO Audit will not just measure current SEO performance but will also explain why it is performing the way it is. This is accomplished by analyzing a website for specific SEO-related factors: the website’s Google PageRank, the relevancy of the site’s meta tags, the time it takes each page to load, and the number of backlinks the site contains. What’s more the site’s image alt tags and HTML heading tags are also analyzed for relevancy. Results from the Website SEO Audit can be saved for later access. 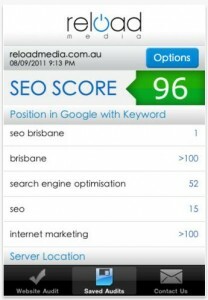 SEO Pro contains multiple SEO functionalities. To begin with it monitors the page ranking of a website from numerous search engines (supporting Alex Rank, Google PageRank, Compete.com Rank as well as Yahoo Indexed and Yahoo Inlinks). It will also search the number of times the site has been posted on Digg. It also produces a site’s meta tags. Designed primarily to produce detailed information of Google Analytics in an iPhone friendly format, Analytics App naturally supports Google Analytics’s Advanced Segmentation features. This is important since it can quickly ascertain important elements after sifting through large amounts of analytical data. What’s more it can produce 55 different reports with 100 rows of data. An overall view of the information on a given site can also be created, as can a “Today” report which collects and displays only the information Google gathered for that day. A user can also register multiple logins and accounts on the same iOS device. There are also analytics apps for Android like gAnalytics, so T-Mobile 4g phones can contain the personal information you want to store and use while on the go. The makers of Analytics App claim that this app is easier than searching the same information using a desktop browser and extremely more accurate. 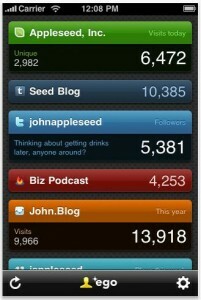 The Ego app is based primarily in the analysis of social media sites. It will produce the statistical information on services such as Vimeo, Tumblr, Mint, RSS feeds and Twitter – for this reason it is crucial to have excellent mobile broadband service. Since social media sites are becoming increasingly more important in maintaining a strong web presence, Ego’s social media monitoring abilities will be indispensable in assisting SEO specialist in planning their SEO strategies. Like SEO Pro and Analytics App, Ego also supplies Google Analytics data. The SEM Calculator is designed to facilitate the planning of SEO and web advertising programs. It contains several different calculators commonly used by SEO specialists. 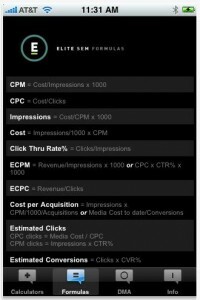 This powerful app is capable of calculating whether a CPA or CPM ad purchase is most effective considering a given site’s use details. 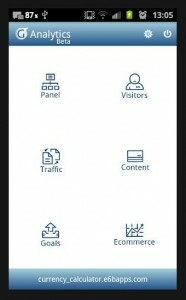 This is also a convenient and reliable app for those who advertize through Yahoo!, Google Adwords, or MSN when it comes to creating advertising based on Analytics App information. These apps will make things easier while out of the office, if they don’t fundamentally change the way a person does SEO. The SEO functionality of these apps is convenient and intuitive, making working outside the office a much better experience. Emily Green is a very competent writer with more than 6 years professional experience in blogging, copywriting, content, SEO, dissertation, technical, and theses writing. She has written more than a thousand webpage content articles in past projects. When she’s not writing for Copy for Bylines, she likes to read, bike and take her dog to the park.